PRESIDENT Rodrigo Duterte on Tuesday, May 15, journeyed for the first time to the Philippine Rise, formerly Benham Rise, to assert the country's exclusive territorial rights over the massive underwater land mass off Luzon coast. The President's trip also marked the first anniversary of the renaming of the region and the send-off ceremonies for some 50 Filipino scientists who will undertake research on the region. 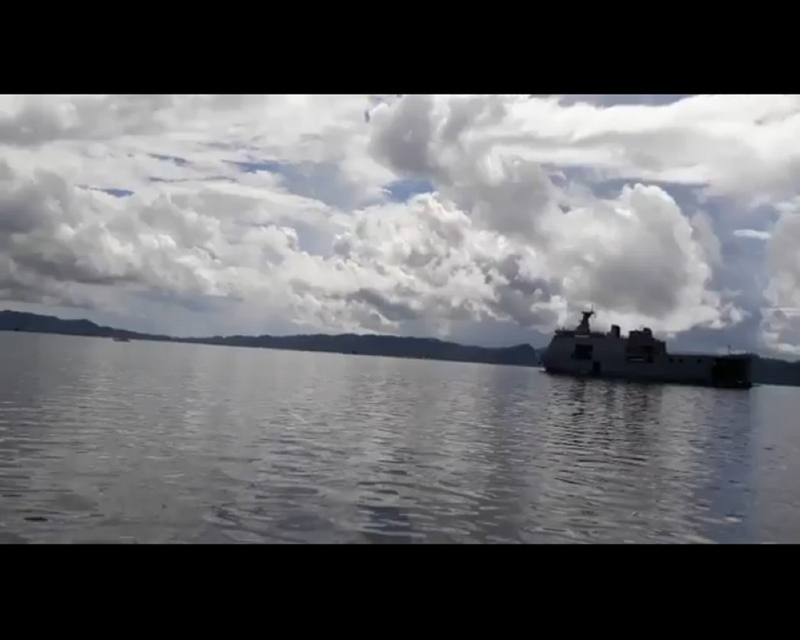 The BRP Davao del Sur, one of two landing docks of the Philippine Navy during the President’s trip to the Philippine Rise, left Casiguran Port in Aurora at about 2 p.m. Tuesday for the undersea region. The Philippine Rise is three to four hours away from Aurora, a province along Luzon's eastern seaboard that is about 10 hours by car from Manila. Based on the travel advisory issued to the media, the President was scheduled to arrive by helicopter in Philippine Rise Tuesday afternoon. The trip comes a couple of months after China explored the region and gave Chinese names to five seamounts, drawing protest from the Philippines and sparking criticisms against the Duterte administration. In April 2018, Duterte vowed to wage war on any foreign nation that will attempt to seize control of the underwater region. "I'm going to Benham Rise and I will make a statement there that nobody but nobody owns this place [but the Philippines], including the continental shelf, the underground land mass that extends under the sea," he earlier said in a speech delivered in Davao City. The Philippine Rise, a 13-million-hectare underwater plateau, is wider than the entire Luzon, the Philippines' biggest island. It is believed to be rich in biodiversity, natural gas and minerals. On April 12, 2012, the United Nations (UN) Commission on the Limits of the Continental Shelf confirmed Philippine Rise as part of the Philippines' continental shelf. The UN commission's confirmation allows the Philippines the sole rights to explore and exploit resources in the undersea plateau.